Chinese intelligent appliance maker Haier has announced today its acceptance into Apple’s MFI program and the launch of the world’s first MFi certified air conditioner. Haier will use this technology in the other Haier products, such as water heaters, ovens, intelligent home accessories and the like. Users will be able to complete the setup simply by connecting to WiFi. 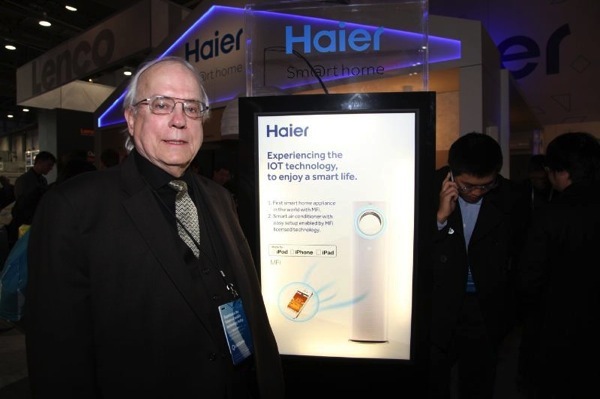 The live demonstration showed that Haier’s air conditioner could match the phone automatically and the user could set up parameters for the air conditioner directly without registration, setup password or any other complicated and time-consuming operations when connected to WiFi. And that brings consumers a simple, efficient experience of using smart appliances. There are already a handful of home automation solutions that work with the iPhone, but Haier’s successful application creates a precedent and could signal the manufacturer’s move to the MFi program. Apple has very high standards that MFI-certified products need to meet. Based on those standards, the licensing program aims to secure consumer confidence, and it could serve as a guarantee for a great user experience.